Rapid industrialization and urbanization has led to the spectacular advancements in the way internet is now used. From a specific perspective, the integration of internet with various devices along with the input of cloud computing mainly in the vehicle industry has given rise to the Internet of Things (IoT) fleet management market. Some of the major processes wherein internet of things is quite useful in vehicle management are: drive behavior, maintenance, fuel efficiency, and logistics. Most of the vehicles are set up with relevant sensors. These devices collect data, track driver behavior, and help improve fuel efficiency, thereby being beneficial to the market’s growth. The use of a variety of smart devices such as laptops, interactive display screens, and smartphones, and other gadgets utilizing internet as a primary source of functioning in automobiles has led to a rising demand for management of various vehicles. Fleet management is very important from the perspective of maintaining quality of services provided through automobiles in terms of internet usage. As the internet-of-things concept is known to provide extensive efficiency along with numerous other advantages such as high travel-based accuracy and fast transport, the global internet-of-things (IOT) fleet management market is anticipated to grow with leaps and bounds in the future. The global internet of things market depicts the presence of a highly competitive, fragmented, and emerging vendor landscape. Such competitive mainly exists due to a rapid rise in the use of smart devices and technologies that operate through the internet. With the number of companies expected to increase in the next few years, the competition is predicted to highly intensify. Most players are focusing on improving their product and service quality, enhancing geographical reach, and facilitating product differentiation. Many companies in the global internet of things (IOT) fleet management market are also focusing on participating in mergers & acquisitions, partnerships, and collaborations. Surging requirement for maximum operational efficiencies and vehicle security is one of the key patterns contributing the development of IoT fleet management market. Moreover, rise in compatibility of tablets, cell phones, and other smart gadgets with vehicles has made a way for internet network services. On the basis of solutions, the IoT fleet management market is categorized into fleet analytics, fuel management, vehicle tracking and monitoring, predictive maintenance, driver tracking and monitoring, and remote diagnostics. In terms of applications, the Internet of things fleet management market is bifurcated into passenger cars and commercial vehicles. Among these, the segment of passenger cars is estimated to grow more due to increased growth rate as compared to commercial vehicles. This growth is credited to surge in usage of smartphones with passenger vehicles. Government laws and activities in the field of smart transportation systems have advanced the improvement of vehicle network technologies and are accordingly anticipated that would energize wide reception of IoT innovation in the forthcoming years. Moreover, developing demand for risk free activities, lower emission, and low energy utilization is foreseen to support the use of IoT fleet management. Execution of IoT innovation gives various advantages, for example, safety and security, and monitoring. In any case, for it to work consistently, it needs powerful framework. Absence of proper infrastructure, particularly in developing nations, for example, Mexico and India, is one of the significant difficulties for market players. Additionally, concerns identified with information protection and information security can block the scope of development of the market. In the age of the Internet of Things (IoT), fleet has a chance to increase extraordinary attention into the activities of drivers and their vehicles, on account of cell phones and associated vehicles. Over 33% of fleet management professionals reviewed said they do not have the capacity to conveniently speak with individuals from their associations' fund offices, keeping them from informing about the figures of fleet expenditure. With most fleet professionals recognizing that cost lessening is a major issue for their organizations' finance employees, an absence of communication on how much expenses is caused by fleet department and savings uncovers a crack in their capacity to delivery on priority. Region-wise, the global market is classified into Europe, North America, Asia Pacific, the Middle East and Africa, and Latin America. Among these, Europe and North America held biggest combined market share in 2016 and are foreseen to lead the race along a solid development track. Be that as it may, the Middle East and Africa, Asia Pacific, and Latin America are expected to emerge as more lucrative regions. North America will witness critical development in market in coming years. Expanding sales of commercial vehicles in the area are adding to the development of the territorial market. Solid advent of fleet management suppliers, for example, Trimble, Fleetmatics, Zonar Systems, Telogis, Omnitracs, and Verizon Network fleet will additionally boost the regional market. The European Commission has been working with its various states and nations to improve on IoT. Nations, for example, Ireland and the U.K. are among the main adopters of fleet management arrangements. Asia Pacific is probably going to be the quickest developing area during the forecast duration. Increasing popularity of smart gadgets, combined with development in vehicle deals, will drive the territorial market. The district is exceptionally price-sensitive, in any case, has gigantic scope of growth. Leading firms have surged the investments on R&D activities so as to come up with advanced solutions and to achieve an edge over their competitors. 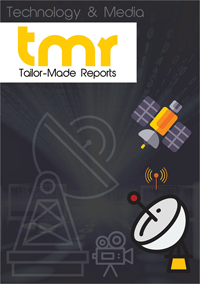 Key players operating in the market are Cisco Systems, Inc., AT&T, Verizon, IBM, Trimble Inc., Tomtom International BV, Telefónica, Sierra Wireless, and Intel Corporation, Omnitracs.